A Symposium to mark the 350th anniversary of The Royal Society, examining the early days of Wadham College, Gresham College and The Royal Society, together with the life and work of some of the founders of The Royal Society. It is an enormous delight and an honour to be involved today, and what I want to do is follow my good friend Professor Briggs and to talk about Wadham and the early Royal Society, or the pre-Royal Society. Thomas Sprat’s book, “A History of the Royal Society”, written in 1667 has been mentioned. You might think that rather strange to write the history of a society seven years after it was created. Bearing in mind of course that history, in Sprat’s way of thinking, is not what we call history today - it was an account of the Royal Society and an apologia for the Royal Society. In fact, Sprat was a Wadham man, an early Fellow of the Royal Society, a subsequent Bishop of Rochester, and whose portrait hangs in hall for all of you to see afterwards, along with Wren, Wood, and Wilkins. In that book, he gives a very strong bias to Wadham. Wadham, Dr Wilkins is certain, is where the Royal Society was founded. He says very little about Gresham, and perhaps this is partly due to his own bias, partly due to he society’s bias for 1667, but we have to bear in mind that, in addition to Wadham, Gresham was itself a meeting place for natural philosophers in London. We know that this was going on by at least 1645, and where it was often said that natural philosophers would resort to Gresham as a way of escaping these troubled times - in other words, the fanaticism, mayhem and confusion of England in 1645. However, why was this natural philosophy, the study of what we now call science, so important? I would suggest a number of things had happened. One of these – and this comes up in Dr Wilkins’ writings – was the beginning of the great voyages of exploration which began in the 15th Century. Why were these voyages of exploration scientific? What is experiment about? It is about testing something and having other people test it for you. If you took your ship and you discovered a new continent or a new island, and you came home and said, “I have found this new continent or this new island,” and people said, “Oh, I don’t believe that – that’s a load of nonsense!” you could then say, “Right, go and look – here are my sailing directions. Follow it!” Then they would come home and say, “Yes, there is a continent there, and it has these features.” I would see this as a very early form of peer review, but also this is empirical. This was not rooted in ransacking Aristotle, Pliny or any of the ancient writers. It was a hands-on approach to knowledge, and it was also using that one thing that was so crucial to this movement: instruments. Think of the ship as a scientific instrument. What do the microscope, the telescope, the barometer and the air-pump tell you? They shape your senses, they take your perceptions to where they cannot go without that device: to see the craters on the Moon, an evacuated space, or whatever. A ship takes you to places you cannot get to without it. It is not for nothing that Wilkins, in his own later writings, is always speaking not only of the learned Galileo, but Columbus, Magellan, and of course, maintaining the patriotic dimension, our own Sir Francis Drake. The great navigators are all there because they saw navigational discovery as an early form of experimentation. Now, this is one of my pet ideas, and I float it amongst you today. But why was Wadham important? In 1648, there was no interest in science in the College, but in that year, because of profound political changes going on in the nation and in London, a Commission was sent to the university, by Parliament, and its purpose was basically a purge. It was to get rid of Royalist dons, and if you would accept the Parliament as your governor, you kept your job; if you did not, you were ejected. Wadham lost its sixth warden, John Escott, most of its Fellows, and virtually all the other Colleges had holes blown in their academic bodies. How did you refill them? Well, largely by placed men sent from London, many of them good academics, good scholars, yes, but people who were sympathetic to Parliament and not to the King. You may expect this would bring in hard-nosed people with no real interest in the intellectual content as opposed to the politics. With Wilkins, it was a breath of fresh air. Wilkins was of Royalist sympathy, but he was not a Cavalier. He certainly considered many things in the new parliamentary movement very close to his heart, and without being a fanatic, he accepted the wardenship of Wadham in 1648. What he did was to start to form around him a group of friends. I should emphasise that science, in the way in which we are talking of it today, had no part of the university curriculum. The Laudian statutes of 1636 did not include experimental science. So what existed with Wilkins was a club or a group of friends coming together. It was a group of friends who recognised their fellow interests and joined this company, as a place where they could come and try out and test their ideas. They might do their research elsewhere, but would then come along, on Wednesday afternoons, to the warden’s lunches in the main quad, and there talk to their friends about their work in astronomy, chemistry, anatomy, physiology, mechanics, microscopy and many more subjects. I think it significant too that when the Royal Society came into being, in 1660, it was not an academy, like the academies of continental Europe. It was a fellowship, modelled on the egalitarian principles of Oxford and Cambridge fellowships. It was self-electing, self-regulating, and self-running, and that model of the early Royal Society not only encapsulated intellectual freedom but also showed that there was a model for later learned societies. Why did this country, with all of her principal learned societies and fellowships have self-elected bodies? I would suggest that this principle, captured in the early Royal Society, pervaded, and it started at Wadham. Here, Wilkins founded a philosophical and experimental club. It included Christopher Wren, the young Robert Hooke, Seth Ward, Thomas Willis of Christ Church and, in 1654/55, the Honourable Robert Boyle, an Irish aristocrat scientist. He lived at Stalbridge in Dorset and was invited by Wilkins to come and reside in Oxford. He took lodgings on the High Street, and there conducted a series of researches that laid the foundations to the gas laws. He used an air-pump, a newly contrived scientific device capable of evacuating a space of air so that he could test the chemical. This was called the “physico-mechanical” properties of a vacuum, a device which was fundamental to the growth of modern chemistry, because it gave rise to a whole series of new ideas and questions about combustion. Why does combustion happen outside a vacuum but not inside a vacuum? Why will gunpowder burn in a vacuum but not explode? Does the saltpetre contain trapped air? Does it release in vacuo in a fizzle but not in a bang? These questions gave rise to all sorts of extraordinary ideas. The group of people that Wilkins assembled around him made Wadham one of the leading intellectual centres in Europe in the 1650s. It was by no means an insular society. These men travelled. They corresponded with Paris, Bologna, Leiden and the Hague. These men were often generally well-travelled, and because we still had a Latinate culture, there was no barrier in terms of communicating with a Frenchman, a Dutchman or an Italian. At their meetings, they sometimes read out letters sent to them from philosophers in foreign countries. Furthermore, it was a highly convivial body. They seemed to like each other, and it also had the extraordinary effect of bringing together men who actually shared a passion for natural science, but who probably otherwise would not have really been drawn to each other. Wilkins was sympathetic to Cromwell and the English Revolution. Christopher Wren was the son of the Dean of Windsor and he had an uncle incarcerated for being a recalcitrant Royalist Bishop. Yet he and Wilkins got on well. Thomas Willis, the great pioneering anatomist, as any medic will tell you, was the discoverer of the Circle of Willis, the circulatory system that serves the brain. He was a staunch Royalist. He was married to the evicted Dean of Christ Church’s daughter, Mary Fell. He was himself an absolutely, solid High Anglican Laudian and Royalist. Yet, as a scientist, he shared a commonality with these men, because in fact, he had lost his job. He had been effectively barred from Christ Church because of his Royalist principles, and he had actually started having to earn his living as a working doctor. He says he, one day a week, would ride to Abingdon to take patients at Abingdon Fair. At Abingdon Fair, people would come along with their sick and injured, and pay Willis. Perhaps they would come to him from being a rich student of Christ Church, but it seems that this was his making as a working doctor, because he saw things there, and he learnt things through this practice that he would never have learned as a classically academic physician. However, it was the connection with Wilkins and their friendship which was so powerful. Astronomy was the primary science that these people were pursuing, in the wake of Galileo’s initial discoveries in 1610. Everybody at that time wanted to know whether or not the other planets were inhabited. This morning I was looking at Venus before dawn, which is a spectacular searchlight in the eastern sky. If you look at a planet wit the naked eye, you see the bright lights in the sky. You look at them through a telescope, and they are worlds. Jupiter has four little moons going around it. Venus shows faces going around the Sun. Saturn had what they called “protruberances”, from the Greek, antae, things that poked out, and as Christian Huygens in Holland discovered in 1659, were actually a ring around Saturn. They wondered why God had not put inhabitants on the planets if they were worlds. Bear in mind too that these people saw their science and their Christian theology as intimately connected. Their view was that if humans did not build houses if there was no one to live in them, nor would God make worlds and not put living beings on them. There was an immense amount of discussion about the nature of the inhabitants of these worlds. The scientists wondered whether we could build telescopes big enough to see them. In 1655, some years later, Robert Hooke got into a rather interesting literary scrape with a French astronomer, Denis Papin, about the nature of these beings. At one stage, Hooke said he believed that certain parts of the Moon, viewed under a telescope, reminded him of the “fair pastures of Salisbury Plain”. Now, it takes a lot of imagination to see Salisbury Plain on the moon. Astronomy, therefore, was crucial. Chemistry too was very important. People wanted to know what the world was made of. Aristotle was being increasingly challenged at this time. His the idea that there were only four elements – earth, air, fire and water – and the Paracelsian idea of the principles of - mercury, sulphur and salt – were being criticised. The Belgian chemist Johann Baptista van Helmont, who died in 1644, showed a new way in analytic chemistry. When the air-pump was invented in the 1650s, scientists could now do something they had never been able to do before: experiment on things in a zero air environment. They realised that not only do you need air to have fire, but you also need air to live. In addition to that they understood that it was not just air in general that was important, but that it was a specific part of the air that sustained flame and sustained life. John Mayo of Wadham did that initial quantification and came to the realisation that air itself is not uniformly supportive of life - only a part of it is. Now, of course, I am jumping the gun here. He did not discover oxygen. That would take another 100 years of experimentation. However, it showed something crucial: living things and burning things are chemically connected. Not only that, it showed that blood seemed to circulate around the human body or animal bodies. This was in the wake of what Harvey had published in 1628. All of these new discoveries fitted the new Harveyian theory of physiology, not to mention microscopic researches which discovered the capillaries. The great international lecturer of this science, Marcello Malpighi in Bologna, noticed the capillaries. This was postulated and suggested by Harvey but while they were not visible in 1628 they were by 1663. It is clear that this was a crucial idea. Another of my pet interests is relevant here. My very good friend Bob Williams of Wadham knows this. The issue is why this happened in Oxford. The university was important but there was another factor. I have called these Oxford’s “hidden chemists”, because, although we talk of academic chemists – Boyle, Hooke and others – in Oxford, in 1660, there were about 15 manufacturing apothecaries, who were themselves skilled chemical manipulators. These men were the first people to teach chemistry in the University. The first chemical teachers in Oxford were not the dons – the dons were the students! Peter Stroul, whom Boyle brought over from Germany, gave a series of lectures, attended by dons, on manipulative chemistry, and then rivals got onto the bandwagon. Anthony Wood, the ubiquitous diarist of 17th Century Oxford, tells us that he attended a course of lectures given by Mr Clark of St Mary’s Parish. Mr Clark was a manufacturing apothecary, and he mentions about 12 men who attended these lectures. They learned about distillation, acids, the basic techniques of what you do, and all of them who attended these courses - paying about a guinea each, a good little business – were actually senior members of the University. So therefore, the first chemists in Oxford were not the dons; the dons were the first chemistry students in Oxford. When Boyle set up in the High Street, one of the reasons he found Oxford so appealing was that if he wanted a pound of sulphur or saltpetre, or if he wanted some glass blown or a piece of metal filed to produce a form, he could send his assistant up the road to Mr So-and-So or Mr So-and-So, and it was available. He could not do that in Salisbury or York. Oxford had this particular community. That is so crucial to why this takes off in the 1650s. The chemists in Oxford were businessmen. The association of their science with practical courses - buying, selling and profit-earning teaching - was a fascinating combination. Some years ago, in fact, a student of mine did a thesis working on the locations of these chemists. Most of them were in the High Street or in Cat Street, and their premises are clearly discernable from what we can find on the ground today. Here was a remarkable body of people. There were students, academics and private gentlemen coming together to do their research, and also too a remarkably open and international community. You have to bear in mind that people travelled in the 17th Century, especially people who were academics, clergymen and so on, and also too, men who were hoping that they would get political advantage. Remember, Cromwell was not getting any younger. His generals were likely to start another civil war when he died. People wanted to work out which side they were going to be on if the world again broke out into civil war. It was useful to talk in London with politicians, to be in secret correspondence with the Prince, or King Charles II as he would become, and to travel from here to London. We know too that this was a period that saw the beginning of a ripening transport system within Oxford and London, indicating the speed of communication. Anthony Wood tells us of what might be called the ancestor of the Oxford Tube, the Flying Coach, which did it, from the Angel Inn on the High to London, in 15 hours! You did not need an overnight stop. Now, that was fast-going! He mentions making that journey himself to London. Now, Wood himself was very much an Oxford Fellow who travelled greatly, but he wanted to try out the new express coach. Whenever any of these men were in London, either for political, professional, legal or medical reasons, they often haunted Gresham College. That was the natural place to go to meet men who shared their interests. There were also lecturers who accumulated around themselves friends. Lawrence Rooke had a group forming around him. They knew the date on which Rooke lectured, they went along, attended the lecture, and then entered the social world of conversation afterwards. Again this was a fellowship kind of world - the world of bringing in people who liked each other, knew each other, and had a commonality of interest. The entire relationship was based on friendship rather than any kind of formal political or financial relationship. Gresham, therefore, is sadly ill-documented for this period, but we do know that these men were in and out of Gresham regularly, and it is not for nothing that when the monarchies were sworn in 1660, it was a meeting at Gresham where they decided to apply to the King for the title of what would become the Royal Society. Let me just finish too by saying another thing about Wilkins. 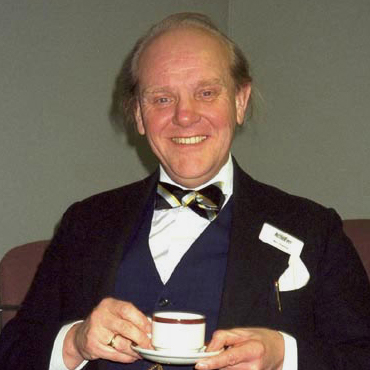 Wilkins was a great personality. He was the kind of man who, as it was said, “…could bring harmony in these destructive times.” He was a big figure with tremendous charisma, and as a result of this, he brought undergraduates, dons and friends into his community. He was also interested in the arts, and in Anthony Woods’ diary for 1657, there is a reference to the great German violinist Baltzar being invited to Oxford by Dr Wilkins of Wadham. Baltzar was a sort of international violinist of the mid-17th Century. Wilkins invited him here. He had concerts put on, in Wadham, whether in hall or not, but certainly had several musical soirees in the lodgings. Here, Anthony Wood, who fancied himself as a really fine figure, was invited, and Mr Wood was told, “Bring your violin.” He said in his diary, with great pride, “I played a duet with the great Baltzar!” Wilkins brought this very wide range together, including people interested in the arts, music and a wide variety of things. As of course Jim mentioned earlier, he left to become Master of Trinity, then Vicar of St Lawrence Jewry, and then, in 1668, Bishop of Chester! It was remarkable that a man who started his career as the son of a goldsmith; became an Anglican clergyman; was closely involved with Cromwell and the Parliamentary regime; who married Cromwell’s youngest sister, Robina, so that Cromwell was his brother-in-law; and who actually died with a mitre on his head as Lord Bishop of Chester. That took charm, ingenuity and a tremendous capacity for friendship, and it is why I find John Wilkins one of the most fascinating men of this time. He was also too a great encourager of the young Christopher Wren, and of course the young Robert Hooke, also from Christ Church. Wilkins was a brilliant communicator, and his books, such as “Mathematical Magick”, 1658, introduced the English speaking world to ideas in machinery. Also, his earlier book on the Moon was the first publication of the great Continental discoveries in astronomy adapted for English readers. So, in other words, his role as a popular writer is also very, very significant. But running right through Wilkins’ thoughts was a wish to fly to the Moon, and in fact, he proposed a machine, using springs and wings, to lift him off the ground. He suggested that this might actually get him to the Moon, but even if it failed, it would be jolly handy for flying about the world! Wilkins was visionary. He also suggested that if mankind could reach to the Moon, we could have a good commercial relationship with the Moon men. For 14 days in the lunar cycle, the 28-day lunar cycle, half the Moon is always in darkness. It must get cold so he thought we could sell English broadcloth to the Moon men. What a visionary concept! Likewise, he ante-dates supersonic travel. He suggested that this machine could get you anywhere in the world within 12 hours or so. All you do is this: you start the machine going; it rises in the sky, to what he thought might be beyond the Earth’s gravitational attraction, watch the Earth rotate below you, and if you were going to Boston, Massachusetts, you would rise from Wadham Quad, hike in space for five hours, see Boston come beneath you, and go straight down. He thought of this in 1640! So both Wilkins’ genius and his capacity to enthuse and to draw people together were simply profound. I find he is one of the most fascinating figures of the early Royal Society. Of course, one of the key reasons why he never became President of the Royal Society is because he had besmirched his stanchion by marrying Cromwell’s sister – which was not the thing to do at the Restoration. However, to actually turn his politics around sufficiently to become Bishop of Chester a few years later says a lot about the man. So I hope therefore, by not talking so much about Gresham - although I love Gresham passionately and I am deeply honoured to be a Gresham Professor – I have given you the sense of where Wadham’s role stood in this movement, because it was this group of friends who met here, under Wilkins’ aegis, as a fellowship and a friendship, that would be the nucleus of what would become the Royal Society, after 28th November 1660.